A murder suspect is currently in police custody over the alleged killing of his colleague in Bayelsa state. 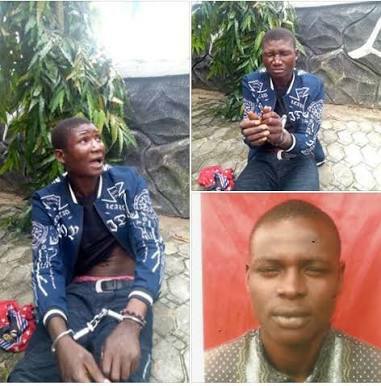 The young man identified as David Samuel was apprehended by the Bayelsa State Vigilante Service on Sunday. Godday Ayana (the deceased) which occurred in October 2018 around Tombia area, Yenagoa, the state capital. The suspect was arrested after weeks of manhunt by security operatives who have been on his trail. He is currently cooling off in police custody and will be charged to court as soon as investigations are concluded.